A working blogger's work is never done. Just this past Saturday I had to drag myself over the Bay Bridge to San Fransisco to attend the Macy's Men's Style Event and watch modeling hopefuls get their pictures taken for DETAILS Magazine's casting call. sigh. I also picked up some sartorial tips for my man when I wasn't ogling the eye candy. It was such hard work, LOL! Seriously though, there is something special about potentially being witness to someone's dreams coming true. Each candidate was so handsome and debonair. I would hate love to be on the judging panel that selects the lucky winner who gets to be a feature model in DETAILS June/July issue. Who knows, this could be their big break into fashion modeling. Is this the face of DETAILS magazine casting call winner?! 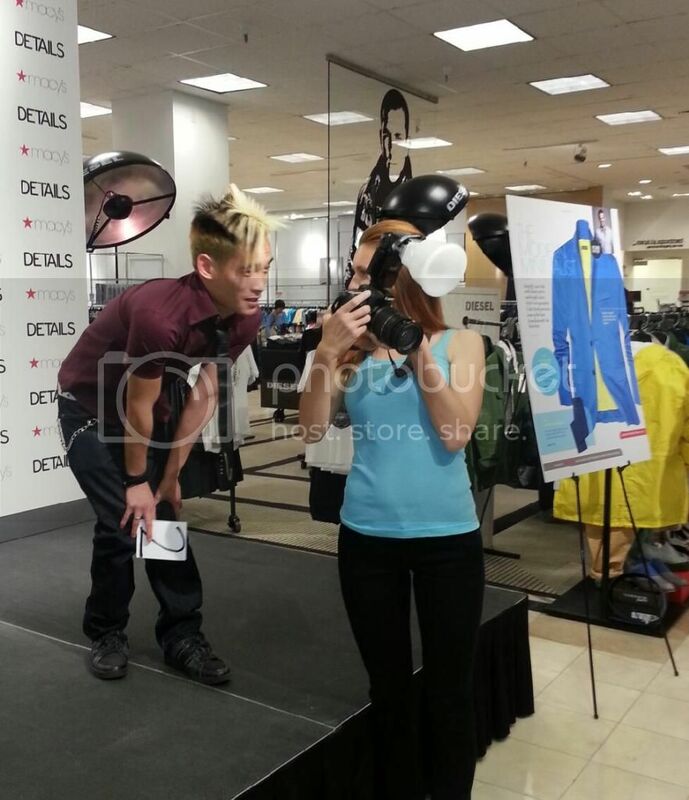 The folks at Macy's were on hand to review the fashion trends for men this season. The look is called Modern Minimalist. I interpret that to mean investing in a dozen or so quality pieces that you can mix and match. Bold, bright colors are also in this Spring. I even saw some shoes with pops of color in them. This is a welcome departure from the white boat shoes and brown sandals you see this time of year. Check out the cool looks for men this spring. Don't you love all the color?! I am a member of the Everywhere Society and Everywhere has provided me with compensation for this post about Macy's Men's Style. However, all thoughts and opinions expressed herein are my own. I used to work at Macy's... Back when here in the Northwest it was still called The Bon Marche. Then we became Bon-Macy's. Then I helped set up a whole brand new store in a new location as we switched to Macy's. Loved those days... 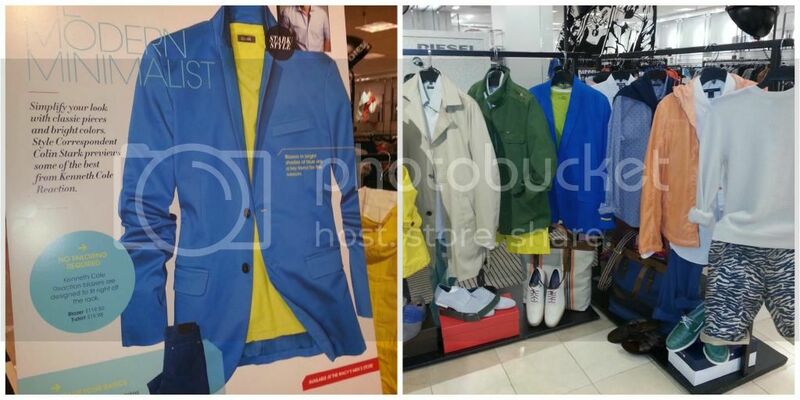 These pics make me kind of nostalgic :) I did merchandising in the Men's Department for 6 years there! that looked like a fun event!! I've seen a lot of the brights making their way around town, it is a very hot trend for men this season! I am so not the fashionista. I love reading about all these Macy's Fashion events though! It gives me great ideas how to vamp up the wardrobe! I totally love all the colors! I can see my husband wearing the darker colors. I really like these men fashions and my son would look great in them. Those are great colors! I love the green jacket in the back of the second photo. So awesome. Love the greens and blues! Definitely some great spring colors.